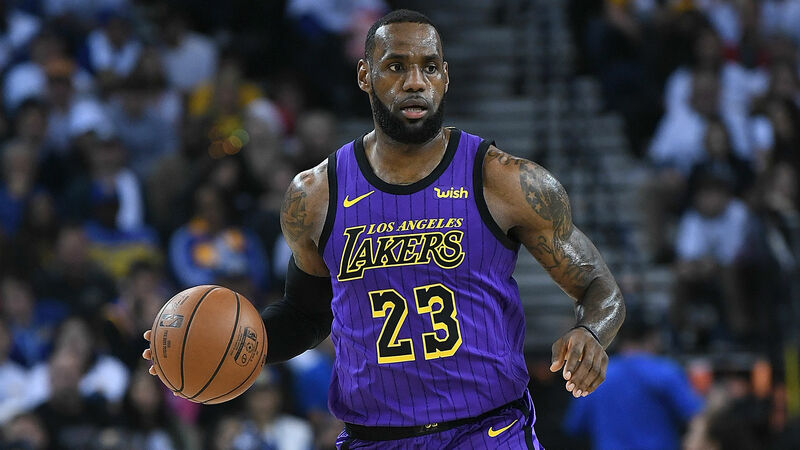 Many around the NBA have already counted LeBron James out of the playoffs, with some suggesting the Lakers should shut him down for the rest of the season — but the four-time MVP's former Cleveland teammates refuse to rule him out of the playoffs just yet. Cavaliers center Channing Frye, who played alongside James when Cleveland won the title in 2016, believes the Lakers star still has a shot at leading Los Angeles to the postseason. "I don't care if there was one game left and LeBron had to win two," Frye told Bleacher Report. "I'd still wait until the last second to doubt him." Frye pointed to James' resilience when the two played together, especially when the Cavaliers were down in the 2016 NBA Finals and then again last season when Cleveland finished the regular season seeded fourth in the East, but went on to face the Warriors in the Finals. "Listen, no one gave us an effing inkling when we were down 3-1 (in the 2016 Finals) or when we were fourth in the East," Frye said. "Then something happens when it's crunch time, and [LeBron] just steps to another level. I'm not doubting him or that team." Including Wednesday's game against the Nuggets, the Lakers (30-34) have 18 games to play in the regular season to try and pass the Spurs (eighth in the West), Kings (ninth) and Timberwolves (10th) to sneak into the playoffs. "If [the Lakers] don't make it, it's justifiable. Teams are good, and he's the only All-Star," Frye said. "I also know how hard the West is. I was in the West for a while. Denver's been playing amazing. OKC, Paul George, who would have thought? Portland's been playing amazing. Now what? LeBron can't do it by himself." While many believe James is in danger of missing the postseason for the first time in 14 years, Cavaliers forward Kevin Love said, "We've seen in the past anything can happen." Another of his former Cavs teammates, Richard Jefferson, still believes the 34-year-old has a lot left in his tank. "Do I still think that LeBron James is the best player in the world? Yes. Is the guy injured? Yes. Has the guy played a lot of basketball? Yes. Could it be Father Time? Yes, but I still believe that if you were to put him in a seven-game series with the same amount of talent as any other player, I still believe that he comes out victorious. That's just me because, honestly, I haven't seen anything different in the last 13 years," Jefferson said. "We've all marveled at his ability to defy Father Time, very similar to a Tom Brady. When I look at this situation, I don't think we're seeing the end of LeBron James."